Thank You to Friends of Our Camp. 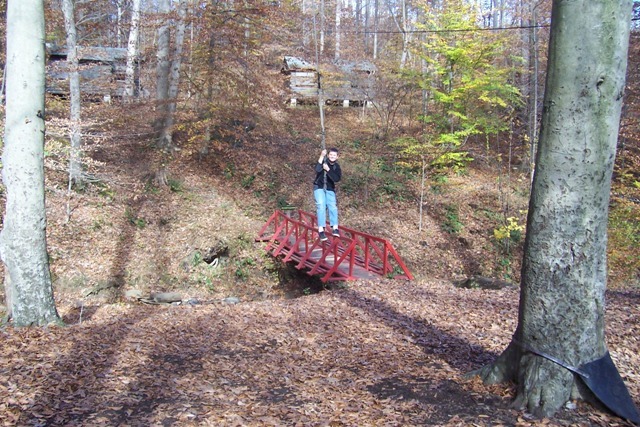 Camp Running Bear and Dancing Bear are 228 beautiful acres of natural settings on the Gunpowder River and Deer creek, only 10 minutes north of Hunt Valley, MD. The land has been used for 72 years to provide recreational opportunities for young people, churches, Boy Scouts, and Girl Scouts. Our original investment in 2008 was $1,000,000 and over $100,000 additional funds have been added since to modernize the dining hall. The Camps are a great work in progress and our goal is to provide an exceptional experience for your groups any time of the year. Towson University has joined us in a unique and exciting partnership to learn more about the land through environmental studies. Scout groups have undertaken very important projects to improve the site for all who come to enjoy it. An Eagle Scout project painted the inside and outside of each of the five cabins in 2010. A Girl Scout troop made and hung 30 bird houses and created beautiful nature signs in 2010 pointing out some of the flora and fauna as well as wildlife that can be found on the camp property. Check out Note from the Owner to learn more about Eagle Scout projects to date and the new summer camp for 2012 at Dancing Bear, Camp Adventuration.